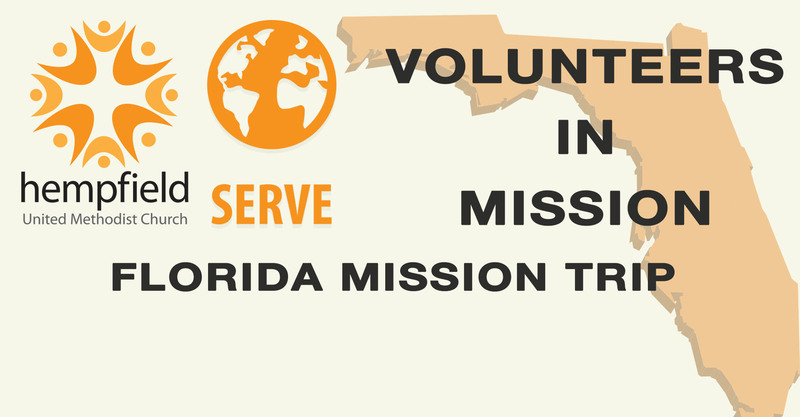 Hempfield UMC Volunteers in Mission will be returning to Florida for a second mission to serve residents whose homes were damaged by hurricanes from October 20 – 28. This is a week long mission trip. No specific skills are required. Work varies from home repair to drywall installation. Participants are responsible for the cost of meals and some other expenses. Tools and van transportation will be provided. No roofing work will be performed. Anyone who is interested should contact Bob McCune at budsie1046@comcast.net.